Baruch HaShem, Torah is flourishing in Eretz Yisroel to an extent scarcely even dreamed of by these great sages. But their questions still loom. Indeed, the extent to which the Torah community, otherwise scrupulously careful with mitzvos, is “involved in finding ways” out of the mitzva of yishuv Eretz Yisroel needs to be examined. The economic situation in Israel is often mentioned. Indeed, the Pischei Teshuva (Even Haezer 75, no. 6) rules that since living under conditions of economic privation can endanger, or at least compromise, one’s spiritual life, one is exempt from settling in Israel if he will be forced to live under conditions of dachkus (hardship). Now what constitutes the “dachkus” to which the Pischei Teshuva refers? The inability to afford $25 per pound gourmet chocolates? Not being able to acquire an elegant, very large wardrobe of `from” designer clothing? Is the definition of dachkus being too destitute to afford a $500,000 home that one would not think of inhabiting until it was gutted and elegantly redone? Or is dachkus a dearth of elegant glatt restaurants of various nationalities, pizza shops with all the trimmings, and frozen glatt kosher convenience foods and snacks? Not to belabor the point, in essence the ruling of the Pischei Teshuva refers specifically to one who will be forced to live from tzedaka in Israel as opposed to being able to earn a living in chutz laAretz. By comparing employment possibilities in Eretz Yisroel today with those available either in the time of Rav Sonnenfeld or that of the Chazon Ish, we are soon forced to eliminate the exemption of the Pischei Teshuva for most cases. B’ezras HaShem one can earn a livelihood in Israel that would have been considered luxurious by most of prewar European Jewry. Even more significant, however, is this point: the more modest lifestyle typical in Israel today not only does no harm to one’s spiritual life, but it is likely to do much good. More recently, the Chafetz Chaim, in the Biur Halachic (siman 529), rebukes openly: “Many people err in this area and do not take to heart how to conduct themselves properly concerning their household expenses, to distance themselves from luxuries. Many have been damaged by this kind of conduct which ultimately brings one to theft and dishonesty and to shame and disgrace….” In Sfas Tamim (chapter V) the Chafetz Chaim blames the suffering, trials and tribulations of his times on the dishonesty promoted by overspending on luxuries, especially costly clothing; by overextending oneself through buying on credit; and by lavish weddings with unreasonable demands made on parents for dowries. Another facet of the economic argument, one cited as a reason to delay aliya indefinitely, is financial “security.” (“How can we face the future without a sizable sum put safely away?”) The gemara (Sota 48) says: “One who has bread in his basket and worries what he will eat tomorrow is one of little faith.” The Kotzker Rebbe explains that the “little faith” is not evidenced by the uncertainty of tomorrow, but rather by this man’s certainty of today. By worrying only about to morrow, he shows that he puts his trust in the presence of bread in his basket, and not in HaShem. A believing Jew, by definition, does not hang his security on large bank accounts; he certainly would not compromise his Torah life in their pursuit. All this considered, there do remain legitimate economic factors to weigh when planning aliya. The laws of tzedaka demand that we provide for one who falls on hard times not merely at subsistence level, but at the standard to which he was accustomed. This is because a drastic change in lifestyle can be very painful. In light of this insight gleaned from the halacha itself, an individual may and should consider very carefully his family’s present standard of living, the prospects for their situation in Eretz Yisroel, and the ability of the family to modify or adapt accordingly. Of course, a Jew who has been properly educated to the importance of aliya, and one who takes the admonition of the Chafetz Chaim cited above seriously, will be cautious from the start lest his family grow accustomed to exaggerated standards. The second factor that could qualify as a reason for postponing aliya under the guidelines of the Pischei Teshuva concerns the individual’s predilection for a specific occupation. Chazal tell us that it is part of a man’s nature to find satisfaction in doing that for which he is best suited. We all know that there are many people who retrain in the middle of one career for an entirely new one, for any number of reasons. Nevertheless, one who finds satisfaction in his occupation should plan to pursue the same one in Eretz Yisroel. Where this would be impossible, one should weigh the available options for suitability and for the prospects of success and satisfaction inherent in each one. Failure to deliberate this issue could result in a potentially frustrating or unsuccessful aliya. Here too, however, if one teaches oneself to strive always towards aliya, then, at every crossroads in his training, he will have Eretz Yisroel in mind. Such a person will consider possible occupations in light of their transferability to Eretz Yisroel from the beginning. And then there’s the matter of physical security. After all, the halacha does not permit us to put ourselves in danger. 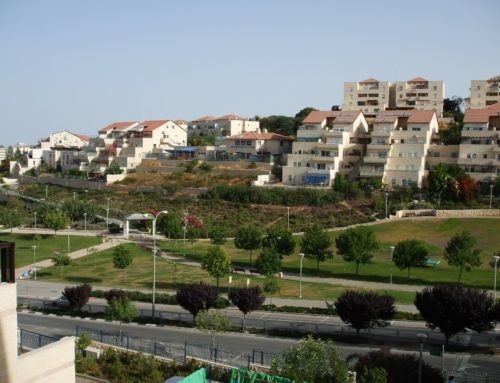 Visiting New York, I have been asked: “Aren’t you afraid to live in the Shomron?” I find it amusing if not ironic when the question is asked while the host secures both his locks and activates his alarm system. In the years I’ve lived on Moshav Mattityahu, there have been no incidents, no crime. My children can go out to play at any hour, and we do not bother to lock our doors even at night. How safe are the streets of any city in America that it should be recommended as a place of safety while Israel is rejected as dangerous? Some claim to fear the problems that they would encounter trying to live a life of Torah under a secular Israeli government. Isn’t the negative attitude to Torah values and Torah observers exhibited by certain segments of Israeli society a significant detriment, they ask. There is also a great deal of discussion of halachic factors excusing today’s Jew from this mitzva. There are, after all, opinions that it is only a mitzva kiyumis (voluntary mitzva). This was the opinion of the late gaon Rav Moshe Feinstein, zt”l, and some others. Well, tzitzis is also “only” a mitzva kiyumis. It might be worth contemplating the way we regard one who neglects the mitzva of tzitzis, or even one who does not wear an arba kanfos that conforms to the strictest shiur with tzitzis the most mehudarim. In a time of Divine anger, one is held accountable for a mitzva kiyumis as well. And there are some who maintain that the mitzva is not binding at all today. This was the opinion of the late Satmar Rebbe zt”l and some others. Even if we ascribe great weight to this minority opinion, however, we must ask ourselves how we conduct ourselves regarding other mitzvos that are binding only according to “some” opinions. Do we not go to great lengths to be yotsai all the shitos? In the case of yishuv Eretz Yisroel, the preponderance of opinion in favor of the binding nature of the commandment includes the Pischei Teshuva, the Avnei Nezer, the Chafetz Chaim, the Gerrer Rebbe, the Chazon Ish…. The purpose of this article is not to enter into a halachic debate, nor to be so presumptuous as to rush in where giants have trodden before me. Yes, there are reliable halachic opinions which would mitigate the obligatory nature of yishuv Eretz Yisroel in our times; but the list of opinions in support of the imperative of fulfilling this mitzva today – only fractionally mentioned in the above paragraph – is a formidable one. Strangely, consideration of settling in Eretz Yisroel is overlooked by many in the Torah community. This most certainly is not the Torah view. The move to Eretz Yisroel must at least be considered, discussed, and investigated. 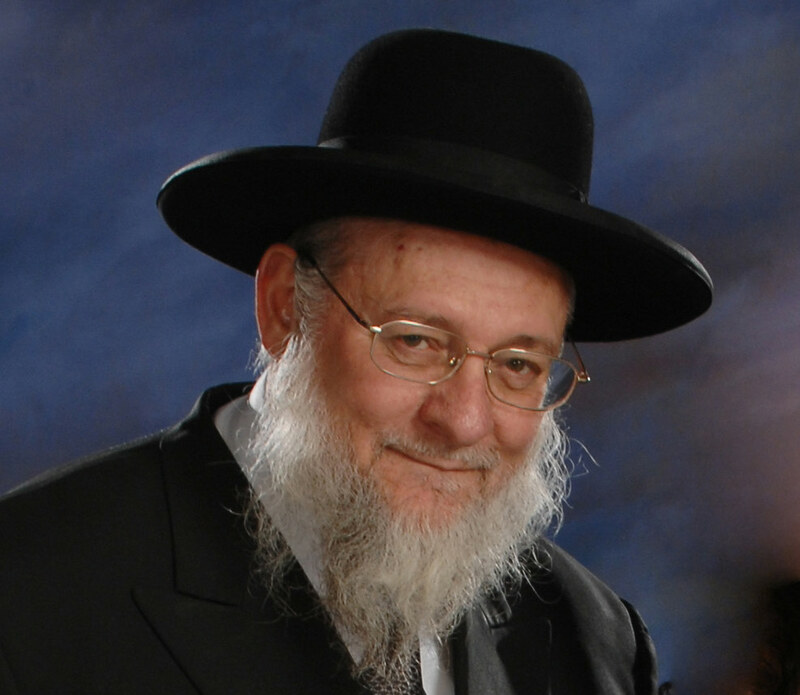 As a musmach of the Telshe Yeshiva in Cleveland, who learned in kollel there for many years, then went on to serve the community I grew up in as rav of the North Miami Beach kehilla for nine years, and then, with the advice and encouragement of gedolim, was oleh to Eretz Yisroel several years ago, assuming the position of rav of Moshav Mattityahu – I feel that my experience may be instructive to the Torah world. I believe I can provide some insights gained on both sides of the ocean which will clarify the case for settling in Eretz Yisroel, and bring the topic to the forefront for personal deliberation. Perhaps others like me, neither exceptionally brave nor wealthy, may benefit from my perspective. If living in Eretz Yisroel is viewed as “just a mitzva” (as I once heard someone say with a shrug), then all the considerations discussed above could be deterrents. But this is a mitzva which is “equal to all the rest,” it is fulfilled every moment with every part of one’s body, and it carries with it a host of other mitzvos which one can fulfill only by residing in Eretz Yisroel. Clearly, there is something more encompassing at issue than any single mitzva. Let us therefore suspend our analysis of practical questions while we address the larger picture. What is this particular Land, and living in it, all about? Am Yisroel was selected by HaShem to be a sanctified nation whose raison d’etre would be to represent HaShem to the world in all areas – a “mamleches kohanim vegoy kadosh.” The Torah was given to us to guide us – individually and collectively – in conforming with this lofty mission. A non Jew is required to observe only seven mitzvos. His lifestyle can be secular, devoid of holiness. As long as he maintains harmony with the basic ethical code dictated by HaShem for civilization, he will merit a share in the world-to-come. One might conclude that a Jew living the same type of lifestyle, although remiss in the observance of 606 mitzvos, has a positive basis for his life – no worse than a non Jew. The Sifrei informs us otherwise. The Jew exists for an entirely different purpose: to create a mikdash – a place of holiness and sanctity where HaShem’s presence will be found, and felt. This mikdash finds expression in the person of every Jew. Thus, any Jew who fails to sanctify himself, to lead a life of exceptional holiness as defined by the Torah’s commandments, is in fact destroying his personal mikdash. He has joined the ranks of Nevuchadnetzar and his cohorts, destroyers of the Mikdash. To promote our being a “nation that dwells apart,” HaShem “measured every land and found no land more suitable to the Jewish people than Eretz Yisroel, and no people better suited to Eretz Yisroel than am Yisroel.” (Vayikra Rabba 13) Eretz Yisroel is a holy Land, the Land that HaShem personally supervises at all times, the Land that HaShem calls His own. Am Yisroel is the nation that is a holy nation – the nation that merits direct Divine providence, the nation that HaShem calls His own. Hence Eretz Yisroel and am Yisroel complement each other perfectly. The idea of Eretz Yisroel as the home of a uniquely holy people is implied at the very beginning of the Torah. “The Torah should have commenced with hachodesh hazeh lachem, the first mitzva the Jewish people were commanded. Why then does it open with Bereishis…?” (Rashi on Bereishis 1, 1) The answer quoted by Rashi is the following: Lest the nations of the world claim that we are thieves who stole the land of seven nations, HaShem informs us that He created the world and it is therefore His to take away from whomever He chooses and to give to whomever He chooses. It seems that HaShem sought to teach us a lesson so significant that it is the foundation of the entire Torah. It is the preface necessary before we can approach even the first mitzva. This lesson is that the basis of our ethics and morals, standards and values is one sole source – HaShem Yisbarach. If He says to conquer and kill, that is what is “ethical’ and “moral.” Where HaShem mandates mercy and peace, they are “ethical” in that case. Our value system can have no other basis than the written and oral Torah. By mandating the conquest of Eretz Yisroel in an apparently disputable manner, the Creator forced us to focus our attention on the only basis we have for our actions. He is the Creator of all that exists; only He can dictate proper conduct among the peoples and lands He created. Only on the basis of this reasoning are we not thieves nor murderers. The Torah, at the very outset, is laying the foundation for our frame of reference to mitzvos, and to the world. It is not incidental that this lesson is taught through Eretz Yisroel. Our sources emphasize that only in the Land of Israel can a Torah society not influenced by foreign values and standards be created – a society based on the ethics and morals of Torah alone, a society apart, rooted in and enhanced by the special qualities of the Land. The Brisker Rav, zt”l, explains (on parshas Chayei Sara) that klal Yisroel is comprised of two complementary factions. The first is made up of choice individuals whom the Rambam refers to as an extended “shevet Levi” – those devoted exclusively to Torah study and avodas HaShem. This is the elite corps of HaShem’s army, toiling in the yeshivos and kollelim, the spiritual leaders of the Jewish people. They create the spiritual energy source necessary for the survival of klal Yisroel and are therefore supported by the klal as were the Kohanim and Leviim. This group is the minority. The gemara (Pesachim 8) questions why the choice fruits of the Galil were not found growing in Yerushalayim instead, and why the hot springs of Teverya were not situated in Yerushalayim. The answer it gives is that when the Jewish people ascended to the Beis HaMikdash three times a year to fulfill the mitzva of aliya laregel, HaShem wanted them to perform the mitzva entirely “leshem shamayim.” He did not want them to have the possible ulterior incentive of delicious fruit or hot springs. The Chasam Sofer (in his commentary on Sukkah 36) explains that any occupation, undertaken in Eretz Yisroel, is included in the mitzva of yishuv Eretz Yisroel, and it is in Eretz Yisroel that Rebbe Yishmael’s ruling (that one should take on a worldly occupation) applies! Agriculture or commerce, industry or social work, medicine or engineering… whatever helps settle the people in the Land, as this-wordly as it may seem, is, by definition, a mitzva in Eretz Yisroel. Consequently, the physical and material aspects of the Land are also objects of holiness, vehicles of service to HaShem. This idea is further borne out by the Gra’s version of the bracha acharona. The Gra omits the phrase “and let us eat from its (Eretz Yisroel’s) fruit and be satiated from its goodness.” His source is the gemara in Sota (14). Of Moshe Rabbeinu’s desire to enter Eretz Yisroel the question is asked: “Was it to eat from its fruit that he wished to enter the Land?! Rather his desire was to fulfill the mitzvos of the Land.” The implication is that eating from the fruit is not a commendable reason for desiring Eretz Yisroel and the Gra therefore omits it from the bracha. The very air of chutz laAretz is conducive to materialism, to the utilization of the physical aspects of the world for immediate gratification and sensual stimulation – an olam hazeh approach. Eretz Yisroel, on the other hand, is conducive to toiling for future gratification, for future fruits – even in the material sense. This is an olam habba orientation. Avraham avinu recognized that in this setting his descendants would be able to realize their full potential, whatever their occupation. We are reminded daily of this truth. Every time we eat a meal, after satisfying our physical appetite, we are required by the Torah to recite birkas hamazon. It consists of three brachos of Torah origin and a fourth that is rabbinic. The first of the three Torah blessings acknowledges that HaShem is the source of all sustenance. The second thanks HaShem for the food and for Eretz Yisroel. It is in this bracha that we also mention HaShem’s covenant with us and the Torah. The third bracha is a prayer for the rebuilding of Yerushalayim and the restoration of the Beis HaMikdash and the Davidic dynasty. Reciting all of this after each addition of a few ounces to our physical constitution, no matter where we live, may not seem particularly relevant. But it is. A Jew must focus his attention on the ultimate purpose of the creation of the material. Any thank-you for food must include mention of Eretz Yisroel and Yerushalayim, for only through the Land of Israel are the world’s material components put to use in the most sublime and ideal fashion. And yet we may imagine that we can daily acknowledge the ideal while continuing to live our own lives among the nations in a lessthan-ideal fashion. Dwelling apart would be nice, we may say, but as for me, blending in with my host country will suffice. The Torah tells us otherwise. If we dwell apart, then “Israel will dwell apart in security.” (Devarim 33) If, however, we choose not to do so willingly, then solitude of a different, nature will be forced upon us. “How does she dwell apart in solitude?” is, we will recall, the opening verse of Lamentations. How often have we tried to assimilate! Yet we, like the oil which can never blend with other liquids, are doomed to remain separate. Rav Chaim Volozhiner put it succinctly: “If the Jew does not make kiddush then the goy makes havdala.” Either we separate and sanctify ourselves, or the matter will be taken care of for us in much more painful ways. The ultimate “cure” for all the woes of the Jew among the nations can only be a return to our own Land, there to live a life absolutely unique in its sanctification. Consider the verse: “No man will covet your Land when you ascend to greet the Presence of HaShem thrice yearly.” (Shemos 34) Would it not have been sufficient if no one took the Land? Why was it necessary to promise that no one would “covet” the Land? The Ibn Ezra explains that the prohibition of Lo sachmod – do not covet – demands that a person recognize that all possessions are Divinely ordained for their owners. One does not covet that which is totally removed from his sphere (e.g., the peasant does not desire the king’s daughter, whom he merely admires from afar). With this in mind, the verse quoted above takes on new meaning. The Jewish people are to renew and revitalize their relationship to HaShem three times each year by immersion in the holiness of Yerushalayim. They then go home to live their everyday lives in Eretz Yisroel proper – a sanctified people in a sanctified society, observing numerous agricultural commandments with the produce of a sanctified Land. The nations of the world will recognize that Eretz Yisroel is something outside their orbit. Perceiving how ill-suited it is to their olam hazeh ways and goals, they will lose interest in it. It is only when we dwell in Eretz Yisroel in a secular manner comparable to theirs that the nations imagine it has relevance to them also – and that is when they covet the Land. An important point for the ben Torah to consider is this: only those who accept the full implications of the Torah’s starting from Bereishis, as explained above, are in a position to bring HaShem’s plan to fruition. One factor which should not be underestimated is Zionism. The secular Zionist movement sought to replace the Torah, which it rejected, with nationalism – the Land of Israel, the Hebrew language, and “culture” – as the sole foundation of Jewish identity. This had a variety of consequences. One which is rarely discussed, but which is especially relevant and particularly tragic, is the effect on the mitzva of yishuv Eretz Yisroel. Somehow, G-d’s commandment seems to have become tainted by the Zionist idea. Interestingly enough, there is a precedent for de-emphasizing a mitzva when it is thus “cut off from the tree of life” by some. When the minim (early Christians) discarded the 613 mitzvos for the “Ten Commandments” exclusively, the Rabbis removed the recitation of these aseres hadibros from the tefilla. They feared that mentioning only these might mislead the masses into following the minim. They did not, however, stop observing the aseres hadibros! 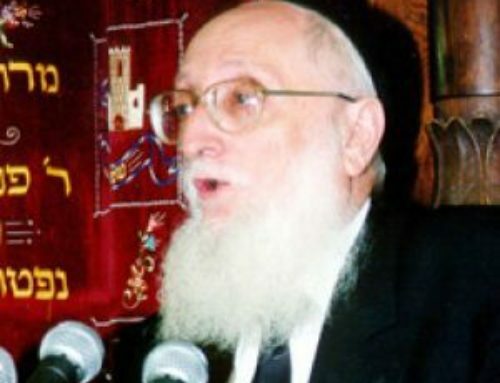 It is interesting to note that the need to cease publicly emphasizing the mitzva of yishuv Eretz Yisroel, based on the above reasoning, was suggested ninety years ago by none other than Harav Avraham Yitzchak Kook, zt”l. (Hapeles, 5661, issues 1 – 4, quoted in Le’or Hanetzach pp. 121 – 122) Indeed, this could be one reason why gedolei Yisroel to this day do not publicly emphasize the mitzva of yishuv Eretz Yisroel. The difficulties of yishuv Eretz Yisroel do not end when one arrives, just as one’s aliya does not stop at Lod Airport. Rather, it is an ongoing process of realizing ever higher goals. The hurdles are testified to by chazal as a permanent component of the mitzva and should not be considered a new result of modern bureaucracy. What chazal say about this is deserving of our consideration. “HaKadosh Baruch Hu gave Israel three precious gifts, and all were given only through suffering. They are: Torah, Eretz Yisroel, and the world-to-come.” (Brachos 5) These words of our sages underscore something every Torah Jew knows: In serving HaShem we do not neglect a mitzva because it is difficult. That which comes hardest is often the most valuable, hence, the most precious gift. 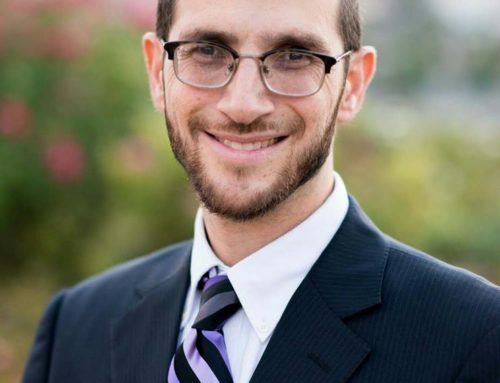 No, Eretz Yisroel is not “just another mitzva.” For ben Torah or baal bayis it represents an elevation to higher levels of sanctity in every aspect of life, availability of mitzvos which cannot be fulfilled anywhere else, and the potential – however remote it may appear for the moment – of a consummate Torah society. To our great dismay, the geula has not yet come. According to our gedolim we are living in ikvesa dimeshicha, the last stage of golus. Ours is a time of paradoxes and great tests. On the one hand we have witnessed many miraculous and marvelous events. We have been zocheh that a large portion of Eretz Yisroel has been returned to Jewish hands and is thriving and flourishing. Aliya is now within the relatively easy grasp of millions of Jews. HaShem in His kindness has granted us access once again to our mekomos kedoshim (the Kosel Hamaaravi, Me’aras Hamachpela, Kever Rochel…). At the same time, however, a secular government with a secular system of law reigns in Israel today, a government that can be hostile to Torah values and Torah-observant Jews. The media may, on occasion, spew forth such hatred for Torah that one can only be astounded and deeply ashamed that the language of such blasphemy is Hebrew. Missionaries peddle their wares, apparently unchecked. We must demonstrate against public chillul Shabbos and other types of desecration. The confusion over “Who is a Jew” and the introduction of the deviationist Conservativism and Reform even in this holy Land add to our heartache. All of these shadows loom over Eretz Yisroel. This means asking a posek. During my years of experience as a community rav, I was impressed by the number of balebatim who, for example, would not break their fast on Taanis Esther despite a serious headache, without a psak halacha. Is such conscientiousness nothing more than a big show on a small matter? I prefer to believe it is the expression of a genuine desire to fulfill HaShem’s will. If it is, it would not allow the Jew to exempt himself from a mitzva as important, as all-encompassing, as yishuv Eretz Yisroel, before asking a shaila. One should not interpret the absence of public exhortations from gedolim on this or any other issue to be an indication of a negative attitude or even of indifference. There are a great many factors which may mandate public silence on some matter, even one viewed favorably, even one of great importance, even a question of mitzva and aveira. If in the final analysis your particular circumstances dictate that you yourself remain in chutz laAretz, be ever sensitive to the fact that you are missing something. Recognize that no Jewish community in chutz laAretz – Y rum” and established though it may be – can ever replace Eretz Yisroel. If this is an important awareness for the lay individual, it is crucial for the teacher or community leader. In striving to raise the level of Torah and mitzva observance of those under your influence, you should stress the inevitable incompleteness of Jewish life outside the Land of Israel. We must refrain from feeling settled and fulfilled as long as we are outside the Land. This attitude need not lead to melancholy but should instead actually enhance one’s spiritual life. It affords direction in aspiring towards the proper values and lifestyle. Interestingly, it may also provide physical protection for the community in which one resides now, as illustrated by the following account from the Shearis Yisroel, in the name of Rav Yehoshua Falk, the author of the SMA. The city of Worms was devastated twice during the Crusades. Why did a city blessed with pious Torah scholars merit such a fate? 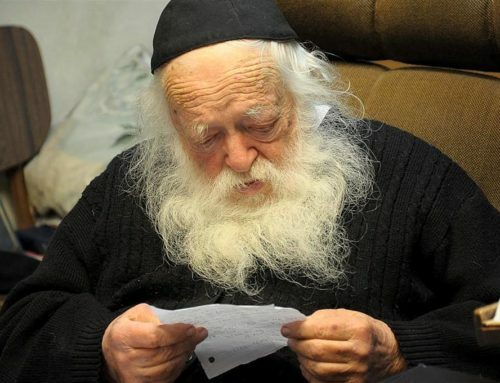 When Ezra hasofer returned to Eretz Yisroel to begin his work on the second Beis HaMikdash, he sent letters to all the major kehillos of the time inviting them to return with him. The kehilla of Worms, which had been established since the destruction of the first Temple, responded: “Peace unto you, Ezra hasofer! May you be successful in establishing the grand Beis HaMikdash in the grand Yerushalayim. 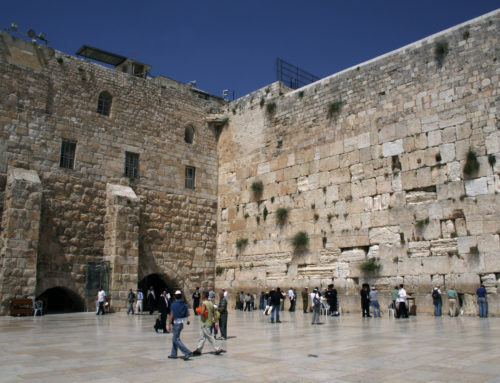 We, however, will remain here in our `small Yerushalayim’ and with our mikdash meat, our small Temple.” This attitude, tragically common even in our own day, spiritually blemished the city to such an extent that it was especially vulnerable to the attacks of the Crusaders many years later. And if in fact your personal circumstances do not exempt you from fulfilling this magnificent mitzva, then do not delay. If you keep in mind the benefits which will accrue to you personally, as well as the tremendous advantage to the klal, you will surely act with alacrity. Preparations need not be elaborate. The most important preparation that one can make is learning and teaching his family the importance of Eretz Yisroel in the total picture of avodas HaShem – for each Jew, and for the Jewish nation. The sefarim relate the minhag of leaving the doors to one’s home unlocked all through the night of Pesach. This was in keeping with the tradition that an opportune time for our future geula will be the anniversary of our first one (geulas Mitzrayim). Eager for the advent of Eliyahu hanavi to herald the geula, we do not wish to delay the process even the few seconds it would take to unlock the door.